Fitbit is perhaps best known for their iconic wearable fitness trackers which are capable of tracking your steps, heart rate and even your sleep in some cases. 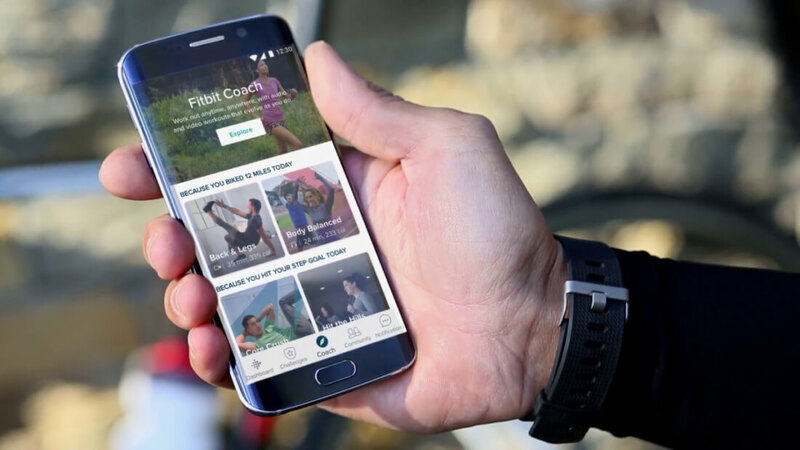 However, the company decided to up their game some time ago with the release of Fitbit Coach for PCs and mobile devices. Fitbit's Coach service allows users to get a quick, impromptu workout session in whenever they happen to have some free time. While the basic, free Coach program only gives you access to one "personalized" workout program (and several audio and video workouts), there's also a subscription-based Coach Premium service that offers additional features and fitness programs at $39.99 a year. However, Fitbit has decided to expand their service to the Xbox One platform in the form of a dedicated app, likely with the intention of getting gamers on their feet. If you've used Coach in the past, not much is different with the new Xbox One version.The only major change is the inclusion of an on-screen heart rate display (provided you've paired a heart rate-tracking Fitbit device) to help you "optimize your intensity and help Fitbit better measure your calorie burn," according to the company. If you haven't used Coach before, it's pretty simple. At its core, the app is a collection of step-by-step workouts including content like "10-Minute Abs," "Muscle Focus" and more. All you have to do to get started is select your fitness expertise (Beginner, Intermediate, Advanced or Elite) and follow the guided training program. As previously stated, however, some workouts are restricted to premium members although the free selection likely won't seem too limiting if you tend to be sedentary. In addition to the workouts themselves, Fitbit says users will also have access to customizable music, courtesy of the company's Feed.fm-powered Fitbit Radio.